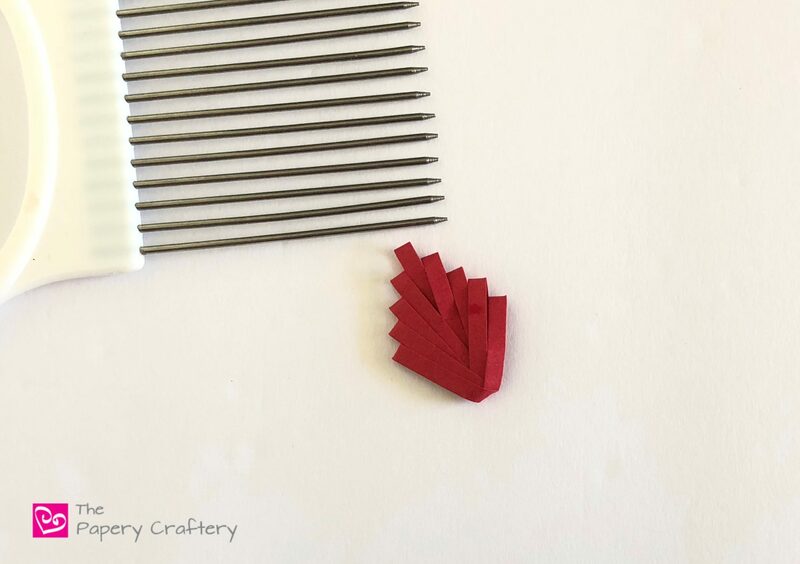 Sometimes, my quilling tutorials come together in a few days. Others can be a long time in the making. This week’s project falls into the second category. 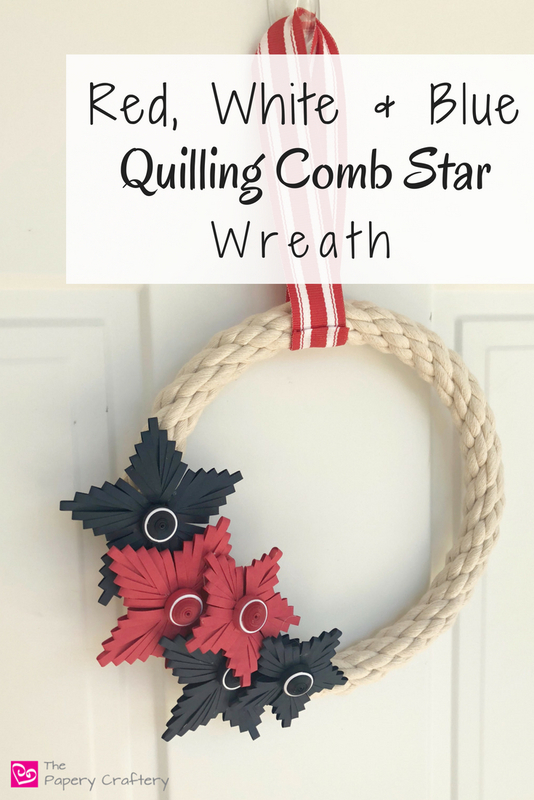 Today, I’m sharing a red, white, and blue quilling comb star wreath that has been on my radar for a few months. My wheels started turning last fall when I came across this awesome mini rope wreath in the clearance aisle at my local Joann’s. It was less than a couple dollars, so I had to snap it up right away. I figured I would come up with a use for it later. 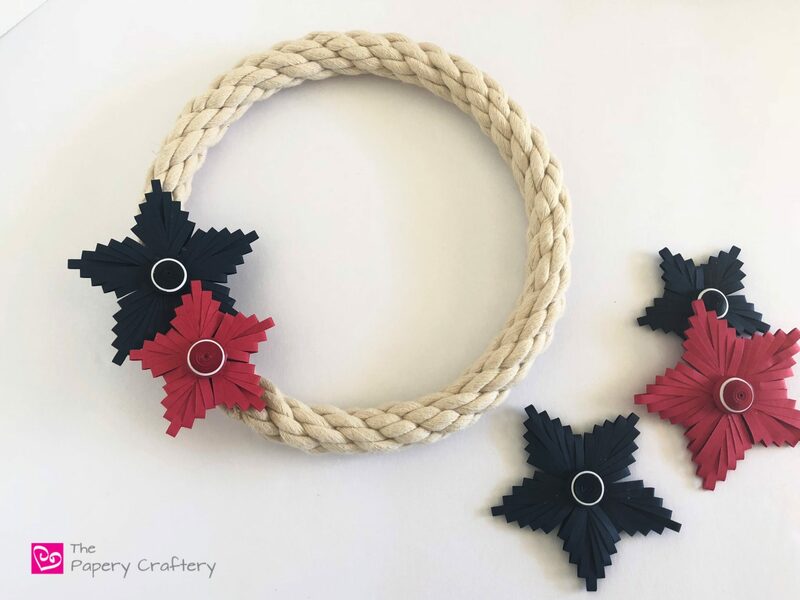 I had trouble finding a similar wreath to suggest for this post, but you can always make your own. 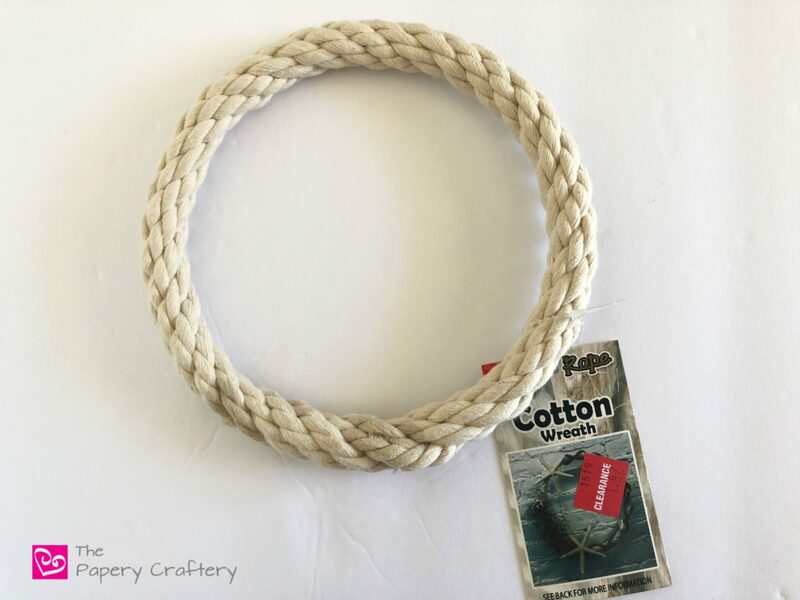 Try wrapping white rope around an embroidery hoop or a wreath form yourself, or even picking up a white willow wreath form for a quicker solution. The rope gave me a definite summer feeling. 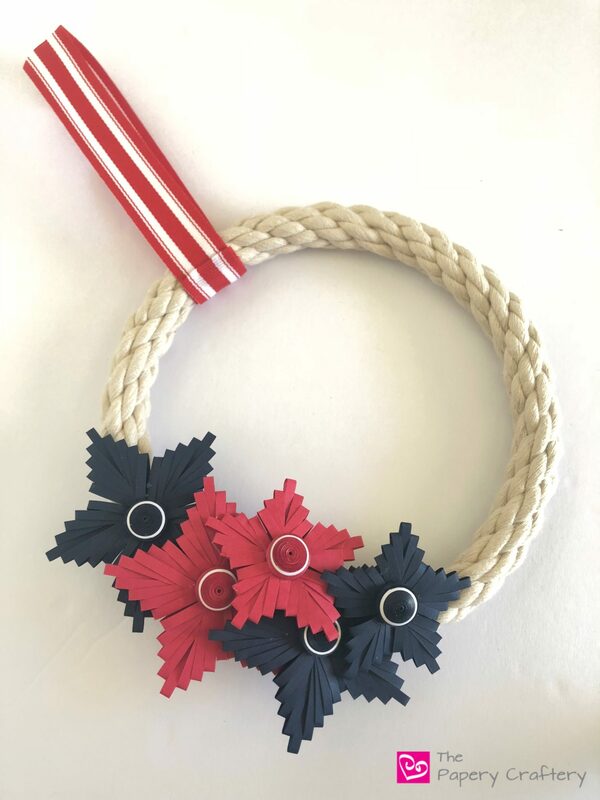 I had thoughts to do a more nautical theme for this door hanging, but then I settled on making a patriotic wreath. And I decided to take that idea as an opportunity to share another technique with a quilling comb to make woven stars. To do this, gather a few basic supplies. I chose crimson, navy, and white paper for the stars. 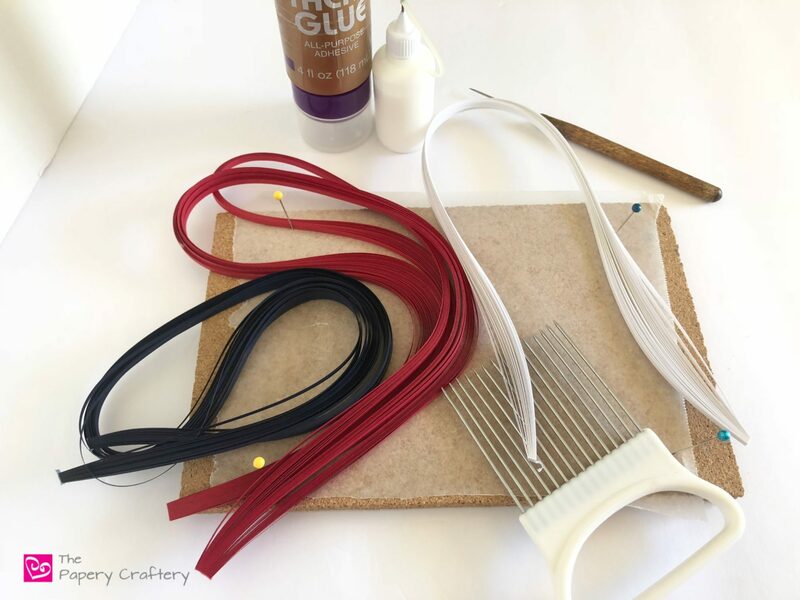 And some Tacky Glue, white glue, a needle tool, a workboard with waxed paper, and a quilling comb. 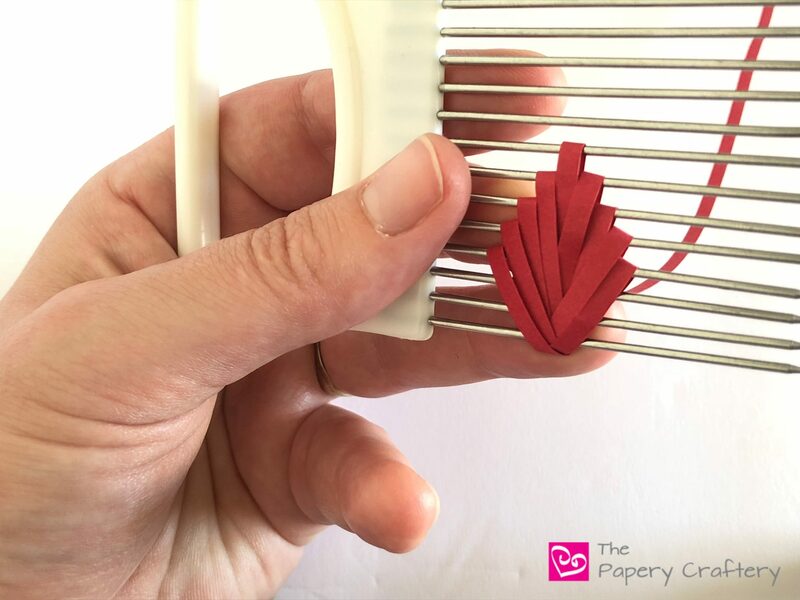 For the first step of making a woven star, pull a quilling paper strip through a tooth on your comb that is about 1 1/4″ from the bottom. On my comb, this is the 8th tooth, but all combs vary in size. Take care to hold the end of your strip in place so the end is facing straight down. This will be the middle of your star segment. 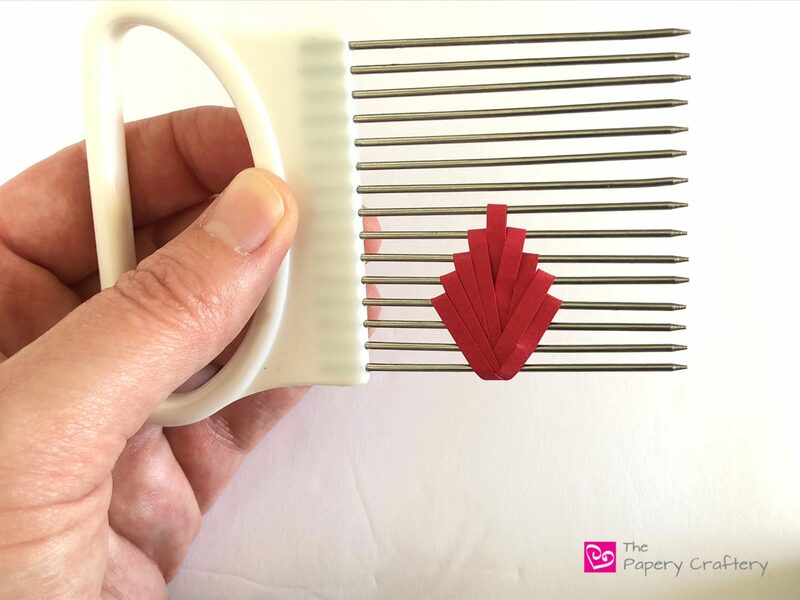 You’ll want to do this in the center of your comb, as opposed to off to one side because you’ll need room to pull your strip to the left and right as your star grows. Once you’ve established your center, pull the strip back to the front. 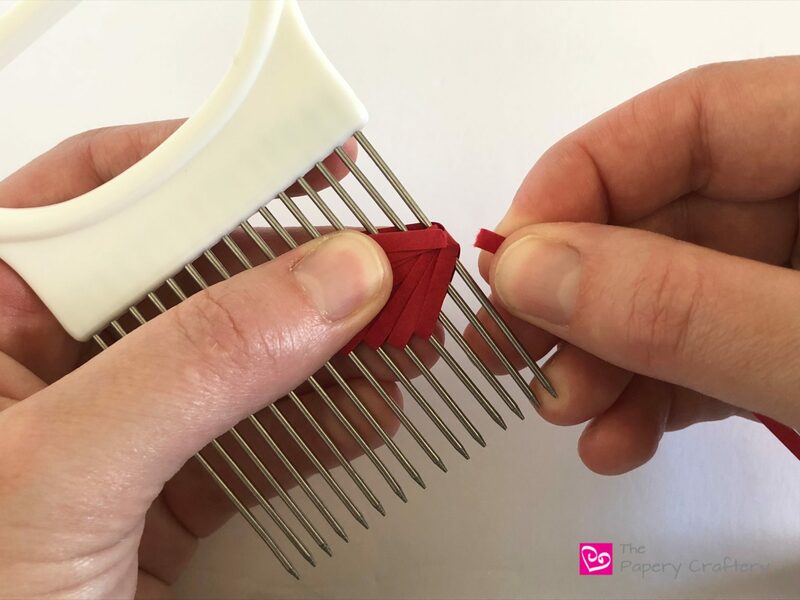 Overlap the center slightly and pull strip back through the comb to the right of the first step, but one tooth down. 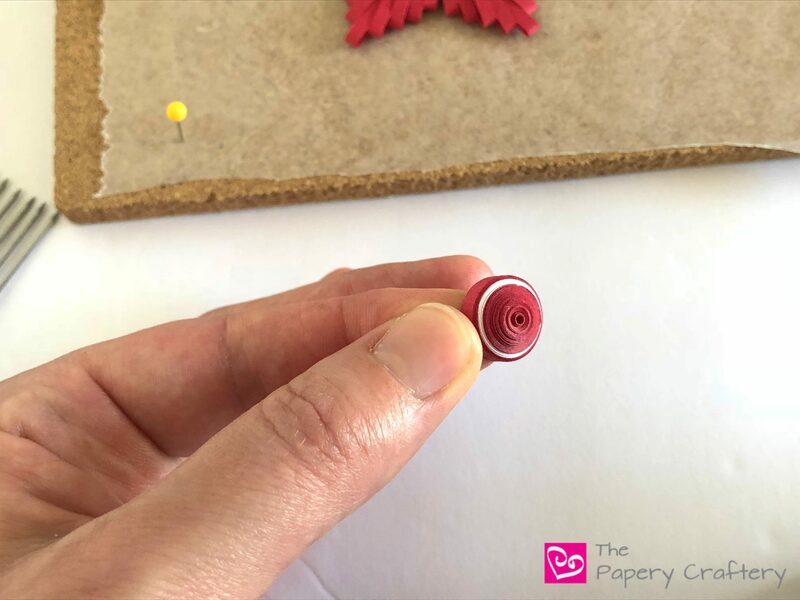 Apply a small dot of glue at the bottom to keep these first few layers in place. Pull the strip to the front again, but leaning to the left this time. Loop it to the back but make sure you loop at the same level that you did on the right side. The most important thing to pay attention to is that the loops are overlapping at more or less the same spot at the base everytime you pull your strip back to the front. Continue in this way, looping front to back and right and left of the center until your segment is the size you need. I found that 4 steps on both sides, plus the center line was the perfect size to allow the segments of my star to meet when it was time to put them together. TIP: You shouldn’t need to add glue very often. I think I only added 2 the whole process. If you weave your star tightly enough, it should stay together pretty well. 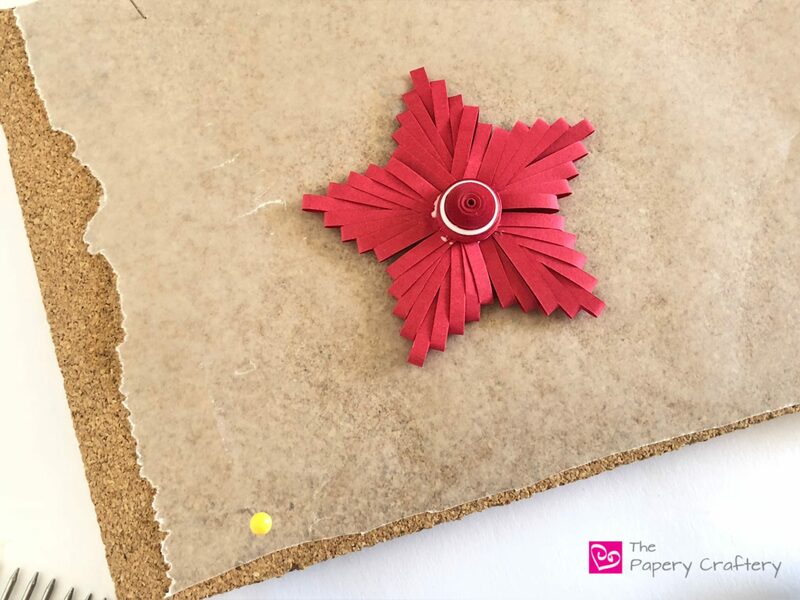 When you’re happy with your star, tear off any excess paper at back and add a tiny dot of glue to secure. Your segment should have a woven look! 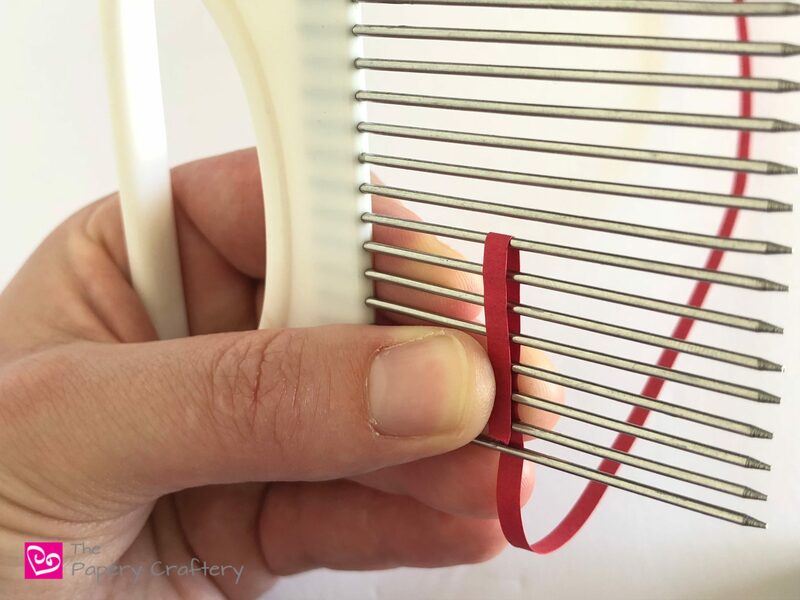 You can pull it right off your comb and it should keep its shape. 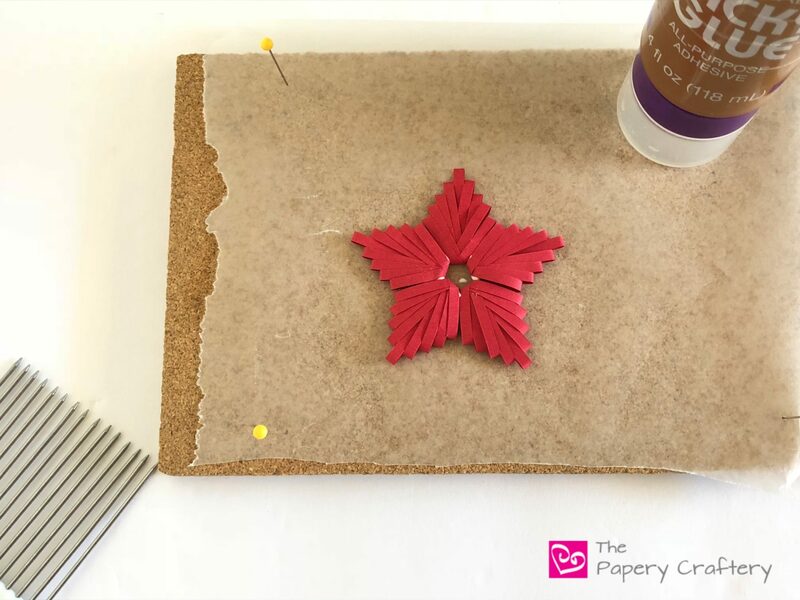 To complete the star, make 4 more segments and apply a small amount of Tacky Glue at the base of each to keep them together. I also made a tight coil to cover the middle of the stars. To make this, start with rolling about 22″ of quilling paper that is the color of your star. Then, wrap it with 8″ of white. And another 7″ of the main color. This will give a nice stripe of white that will tie the stars together with the rope color. 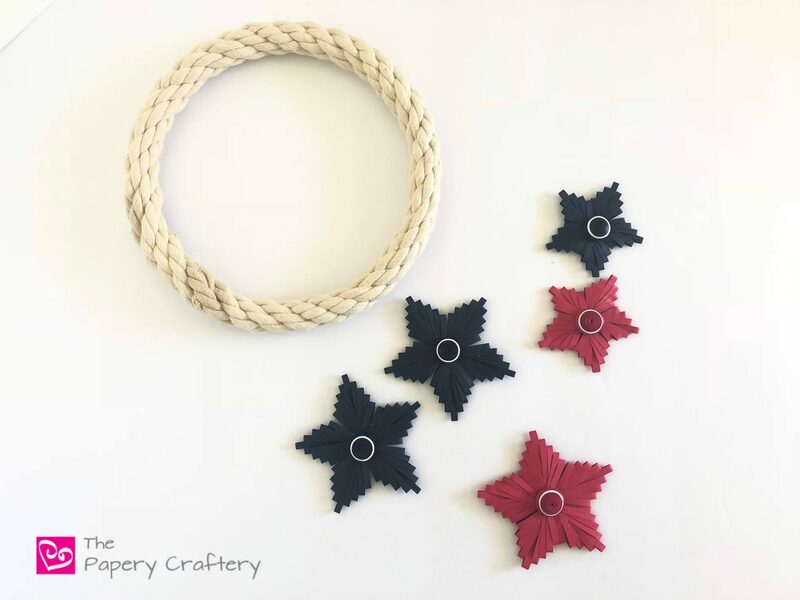 I made a few couple large navy stars and some smaller ones, too. The smaller stars were woven in the same way, but the center loop started a little way down my quilling comb and only needed to have 3 loops on the sides instead of 4. Again, it may all depend on the size of your comb. I tried to plan out where I wanted to place my stars before I began to glue. Once I was happy with the placement, I used some hot glue to keep everything together. Tacky glue will work here, as well. 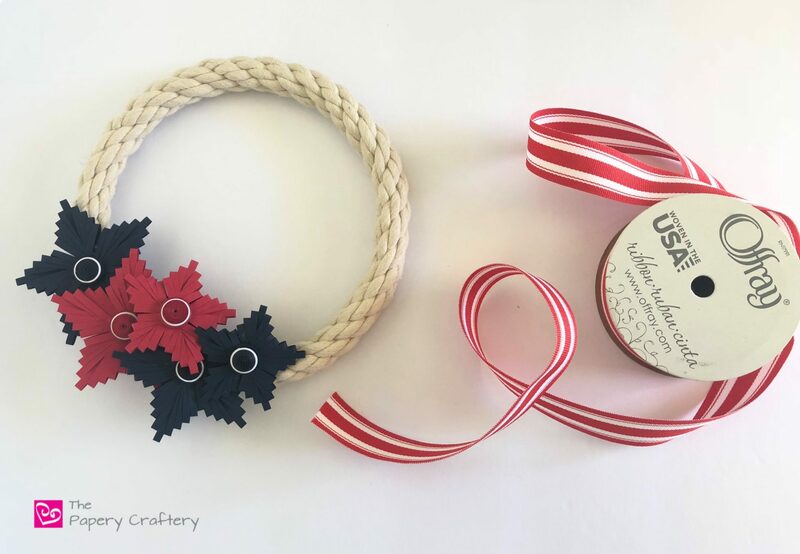 To complete the look, I added a simple loop of a red and white striped ribbon. I couldn’t find the exact brand that I used to share in this post, but here is a similar striped ribbon. Feel free to add more flair with a larger bow if you like! 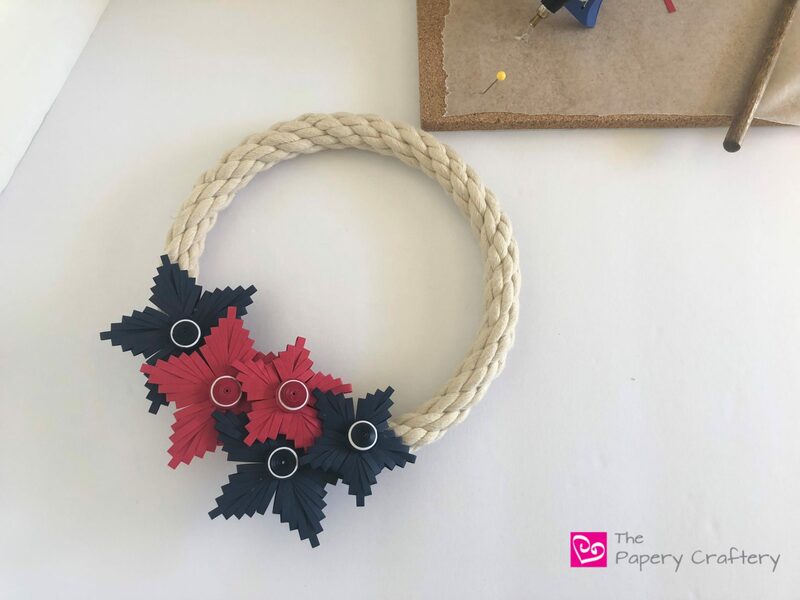 This red, white, and blue quilling comb star wreath came into creation just in time. 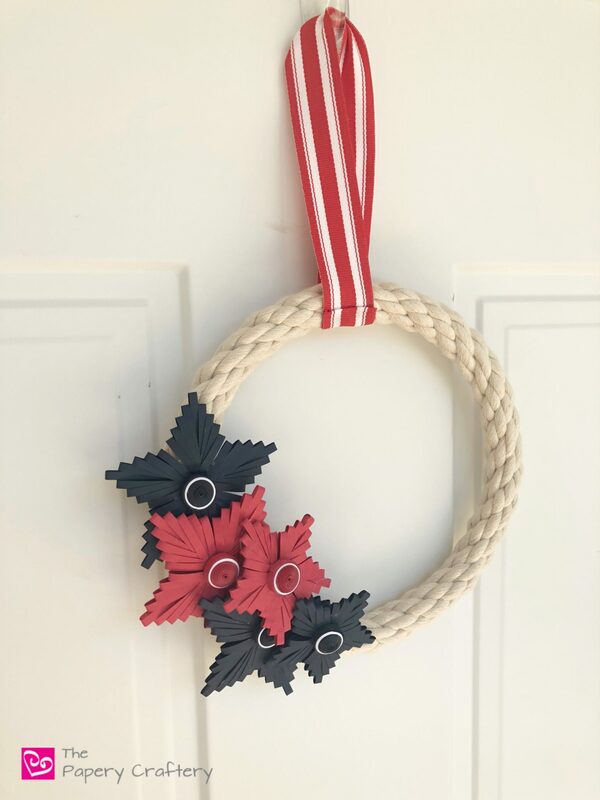 The patriotic wreath I had made last summer didn’t survive the winter because we packed it up poorly and I really needed a new door hanger for the season. 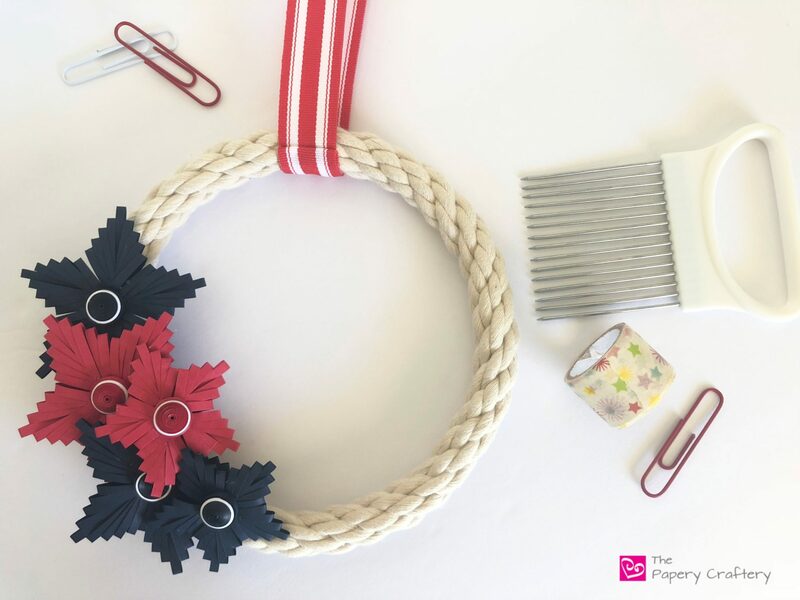 I hope you’ll give this weaving technique a try even if you’re not making this entire wreath. I’ve seen this same process used to make angel wings or fish. Be creative and see what you can come up with, too! And please let me know your thoughts in the comments below! Thank you, Deb. 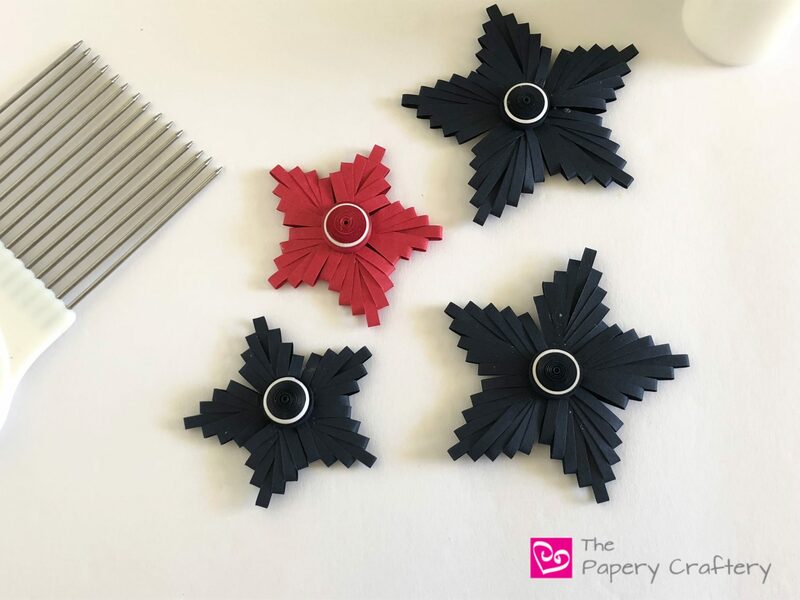 I bet they would look really pretty with metallic paper or even using more than one color to add stripes to the sections as you weave.